Chinese medicine defines a much larger role for your kidneys than Western medicine does. Your kidney system is the source of your vitality, sexual vibrancy and reproductive health. It determines the strength of your bones and your resilience to the load that life places upon you. And in terms of mental health, it expresses itself as will power. With a strong kidney system, you can accomplish much. And with abundant kidney energy, even things that are beyond your limits will seem attainable. Like any other organ system, the strength of your kidneys fluctuates. Because your kidney system doesn’t act alone (it coordinates its activity with all your other organ systems), there is a constant shifting of influence within your body. So, maintaining internal balance is an on-going process. Depending on circumstances, there may be times when your kidney qi is weak. This can be a relative weakness, compared to other days, while your overall kidney qi remains strong. Chronic health conditions aside, a kidney deficiency can just mean you’re having a bad day. Yesterday I was taxed. I woke on the wrong side of the bed; I had much on my mind all day; and I was trying to do too much at once. My kidney qi was rebelling. For it refused to express itself further in order to prevent its own extinction. So, superficially, I looked like I was kidney deficient. Again, it’s normal for kidney qi to fluctuate. Normally, a transient weakness won’t present a problem. It may mean that it’s just time to regroup. Often, it can even go unnoticed to the untrained eye. In terms of “trained” eyes, there is a group of people other than Chinese medicine practitioners that can gauge your kidney qi instantly. They are street thugs. However, the street thug’s assessment is instinctual and subconscious. When your kidney qi is weak, you basically have a target on your back with the word prey stamped in the center. Again, most people wouldn’t notice this, or even act on it if they did. But every so often, timing will place your kidney deficiency in a street thug’s line of sight. Heading to the grocery, I instantly noticed this guy from across the parking lot. 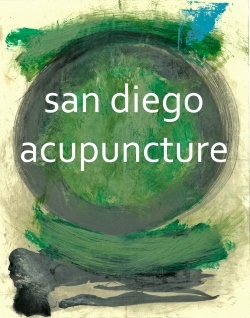 I gave him a preliminary Chinese medicine diagnosis of Liver Fire – body tense, pacing, nervous tics, eyes wide open and shifting, dangerous… He targeted me. I knew it. But I still wanted my groceries. So, the encounter was inevitable. He SHOUTED, “HEY” from a few feet away from me. But it was more of a pitbull bark than a shout. This was meant to startle me and push me off balance. The loud noise also called attention to me in hopes that I feared embarrassment and would want to end the encounter in the easiest (monetary) way possible. 2. Change your tone and speak words of familiarity. In his best fake friendly voice he said, “How you doing? Hey, I need a favor.” The friendliness was to induce a sense of guilt, so that I would feel compelled to say sorry if I refused the favor. Making the prey say sorry makes him feel like he has to explain himself to a thug. Thus, further subjugating himself. 3. Quickly switch from a familiar tone to one of authority. Without breaking stride, I gave him a look that said two things: “I’m not in the mood;” and “your street psycho routine is stale.” I guess I snubbed him (because I hate bullies). And I walked away. To see me dismiss a 6’2” 220-lb thug with a look should have been comic relief in itself. There was a hint of David and Goliath. But in the depths of my transient exhaustion, I failed to see the humor. Though I was still somewhat detached, I felt the man was enraged. How dare I walk away from him! I heard no shouts of anger, but his rage was like static electricity. And that electrical charge carried a message: I’ll. Be. Waiting. Thugs are so predictable. All I needed was garlic, two cans of fire roasted tomatoes, and one can of tomato sauce. I’d be out of there in 5 minutes – not much time to let his fiery rage cool. Why couldn’t there be more choices for garlic? Had I been looking for toothpaste, I could have spent hours deciding on my options (whitening, tartar control, cavity protection…). And alas, the usual evening grocery line rush failed to show up. I found myself collecting my receipt from the cashier without even 5 minutes elapsing since I entered. I’ve been known to procrastinate at times. But when it comes to immediate danger, my motto is: let’s get this over with. I consider it the plus side of my impatience. So I headed towards the lion’s den. No fear. Just plain curiosity and an abundant faith in my reflexes. But the thug wasn’t so predictable. He wasn’t standing in front of the exit, or seated at the bench nearby.